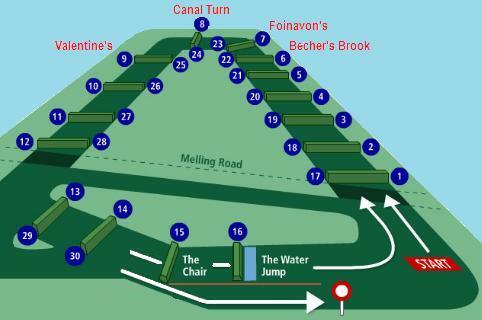 news • Racing • ThoroughbredThe Grand National 2015. The Grand National is no doubt the most famous horse race in the UK, with a large percentage of the country placing a bet on the 40 horse race. This famous race divides the country each year with the ethical debate of horse racing. While I am all for people having their own opinion and being against racing, the yearly uninformed posts spewed all over social media do my head in! I feel the most important thing to remember about horse racing is that these horses were bred to race. If we didn’t have the racing industry, these horses wouldn’t exist. If we were suddenly to ban racing (highly unlikely!) these horses would suddenly be useless and most likely be slaughtered. Not only this, but thousands of people would become unemployed and the economy would suffer greatly. Horse racing is the second biggest spectator sport in the UK after football. Despite what many people believe, the racing industry does care about the welfare of their horses, especially those working with the horses day in and day out. This includes; trainers, jockeys and stable lads and lasses. Many studs and owners also care deeply for their horses and they are more than just an investment. I feel it is also important to point out that thoroughbreds are big animals which have a reputation in the equine industry for not doing anything they do not want. This shows that for all 40 horses to even qualify for the Grand National they must really enjoy what they do. Many people are calling for the Grand National or National Hunt racing as a whole to be banned, as its too dangerous and a welfare issue expecting horses to race until they break. However, the legendary course at Aintree has listened to the concerns and taken into account the high risk to the horses and jockeys taking part and done a huge deal to improve this. They have changed the jumps over the past few years, and since this injury and fatality has dramatically decreased. Because of all these changes, in a more recent post I have discussed how the Grand National could be the safest Horse Race in the world. I also find it interesting that every year the Grand National is in the press for being a death trap for horses when there is virtually no media coverage of the horses killed during the filming of The Hobbit: An unexpected journey and the American TV series Luck. Surely injury in pursuit of a great sport against fine athletes is better than for films and TV. What I find interesting is that National Hunt horses generally have a better quality of life than flat horses. They are not backed and started until they are around 3 years of age and had more time to mature. Whereas flat horses are backed and ridden away at only 18 months. Therefore flat racers tend to have more back problems such as kissing spine in the future. National Hunt horses also tend to have a more natural life style, often getting more turnout and turnout with other horses. This is fundamentally due to the fact that national hunt horses are worth a fraction of the price of flat horses. But all these things are reasons why I love the Jump racing season. Like I said at the beginning of this post, I am not against people having different opinions on racing. I just wish that the media helped to educate the public a little more on racing as a whole to give them an informed opinion rather than just playing on their heartstrings to make money. This is a very small part of my view on racing and the industry, I’m sure I will find occasions to give you a bit more of my personal opinion. I am completely against horse racing. I think it is a cruel industry and hate watching races. Though I do agree that the public should be educated more about horse racing generally, not opinionated on to one side. That’s is one of the hardest things though. It is almost impossible to write a piece on a subject like horse racing without being biased to one side. This is shown by the fact that all the main racing news is negative, often supported or created by organisations like Animal Aid. In an ideal world, the media would show equal amounts of pro and against racing information. But sadly that isn’t the case.